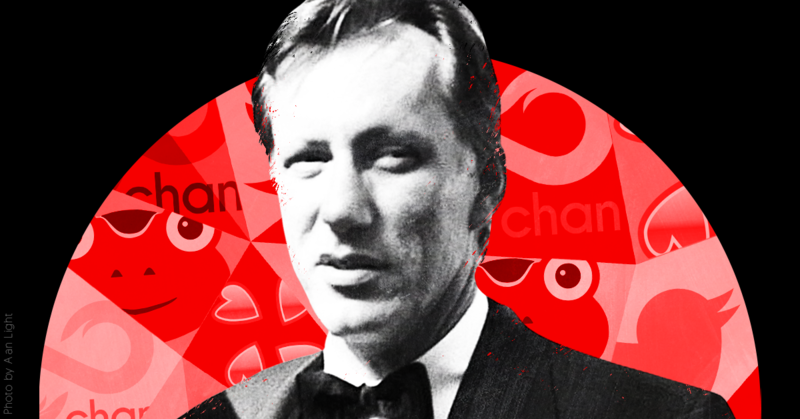 James Woods, a far-right Hollywood actor with a large Twitter following, has increasingly become a megaphone for content from the internet fever swamps, amplifying it by pushing it to his followers -- a role that has been noted by journalists, social media analysts, and far-right users themselves. 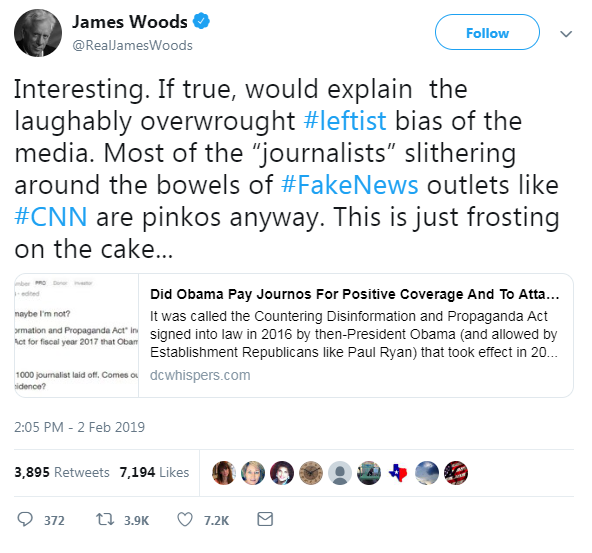 Woods, whose verified Twitter account has more than 2 million followers, is a staunch supporter of President Donald Trump, and his criticism of the left regularly receives positive coverage from conservative media publications. 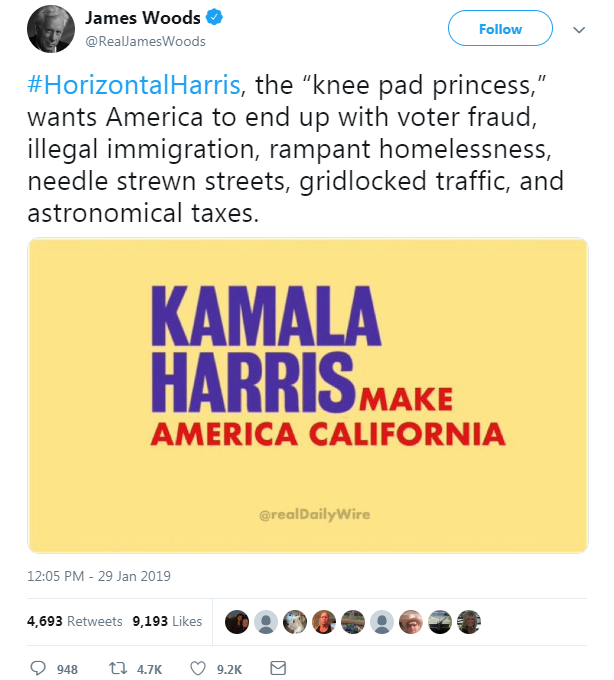 Some right-wing outlets have even characterized Woods as a potential California gubernatorial candidate and championed him as a possible Academy Awards host. 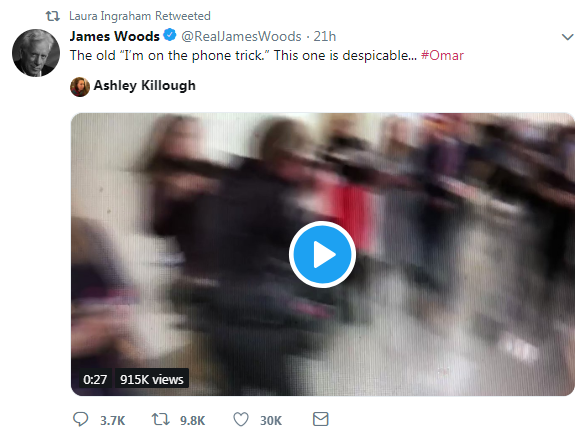 His tweets have been retweeted by Fox News host Laura Ingraham and Donald Trump Jr. 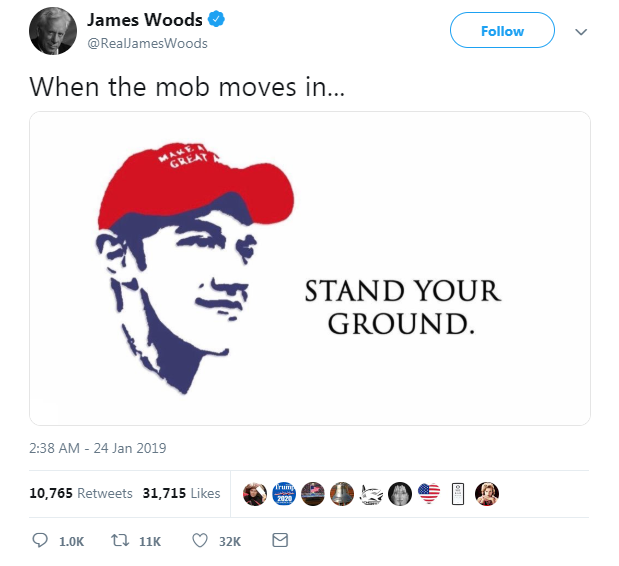 When Woods was briefly suspended by Twitter in September after posting a meme from 4chan that falsely claimed Democrats were urging men not to vote in the midterm elections, the right-wing media ecosystem rushed to his defense. 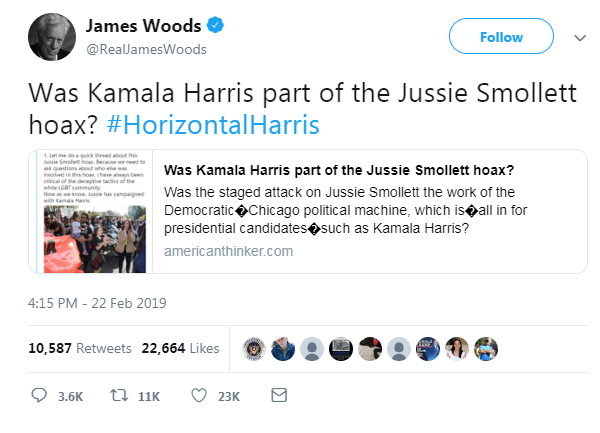 Trump Jr. said Woods was “a strong conservative voice,” and Media Research Center’s Brent Bozell called him “one of the top conservatives” on Twitter. 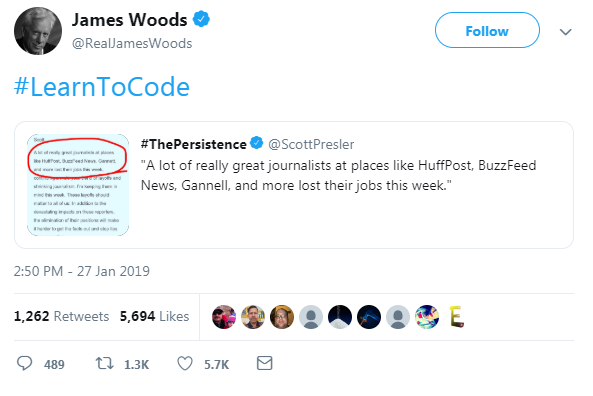 Woods later claimed Twitter told him it would delete his offending tweet and let him back on the following month. 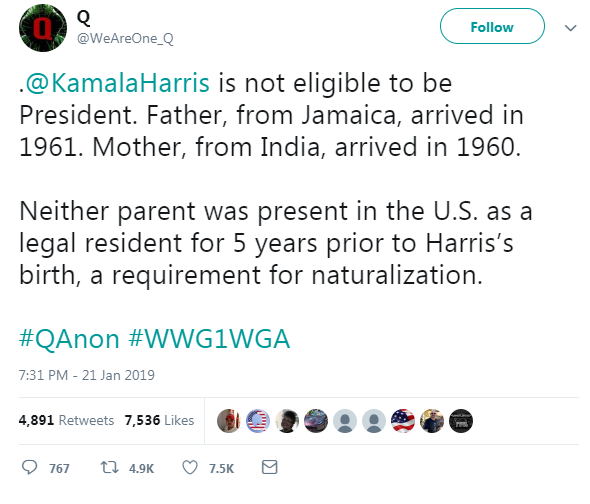 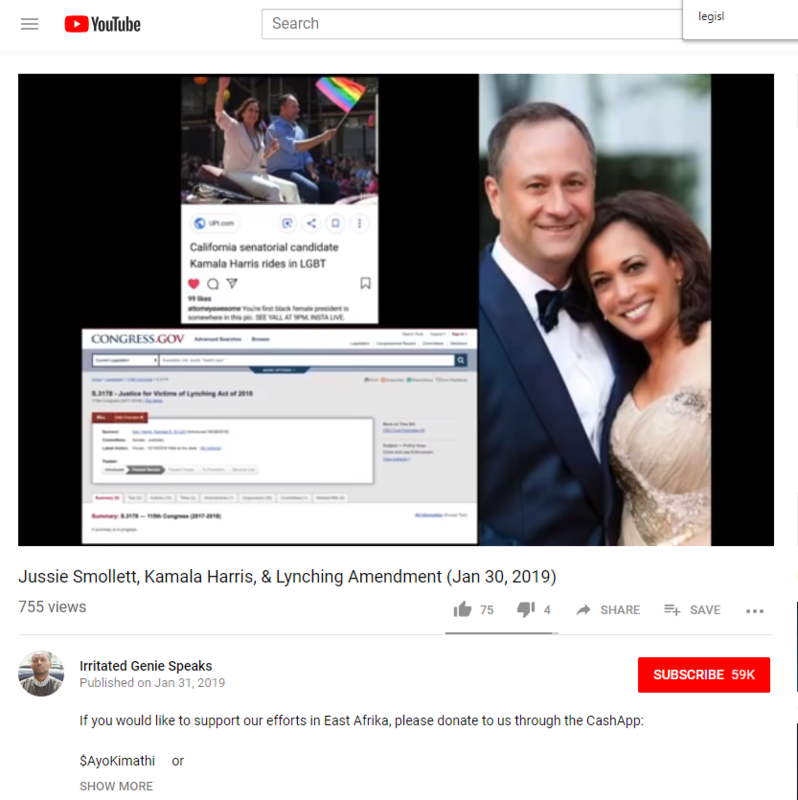 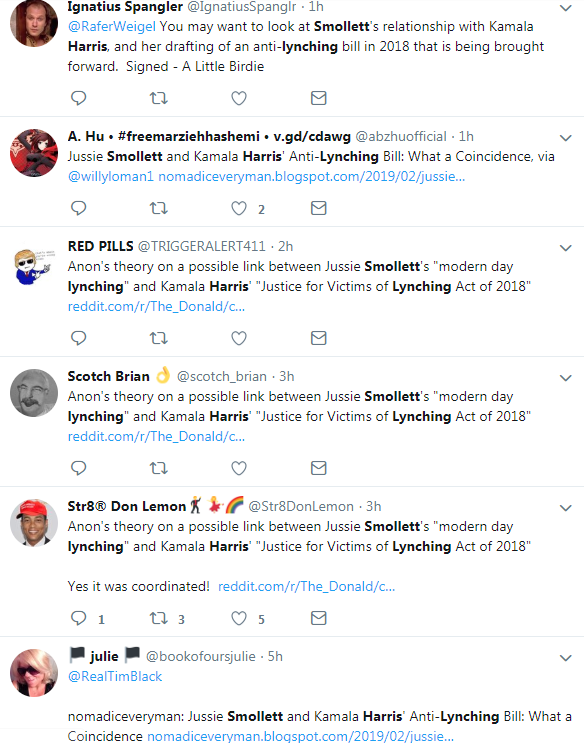 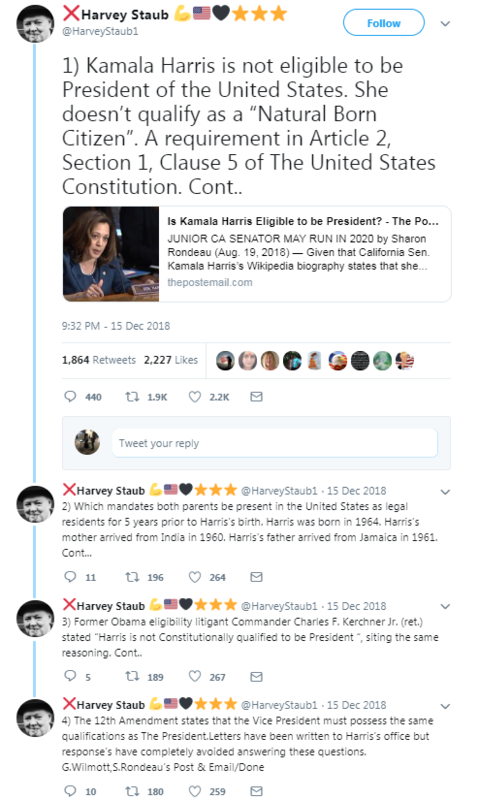 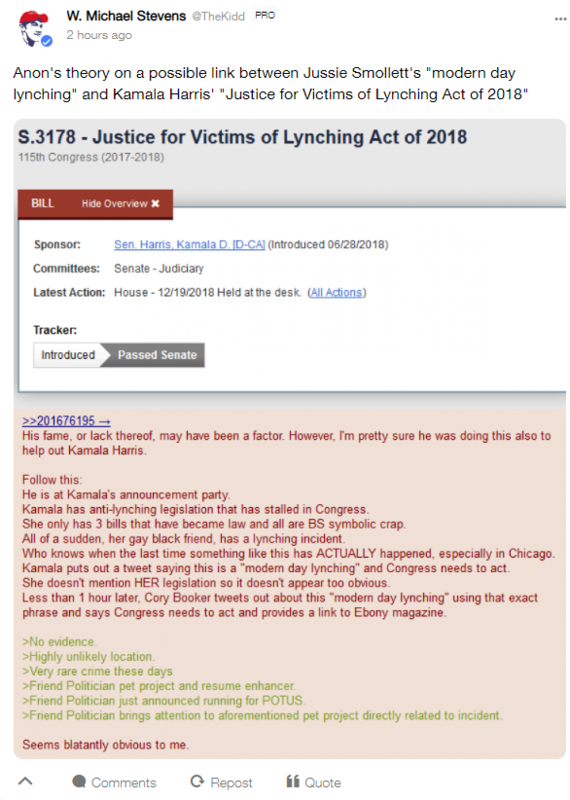 In January, soon after Sen. Kamala Harris (D-CA) announced her presidential campaign, “The_Donald” subreddit and 4chan’s “/pol/” relentlessly smeared Harris by claiming she used an extramarital affair with former San Francisco Mayor Willie Brown to boost her political career. 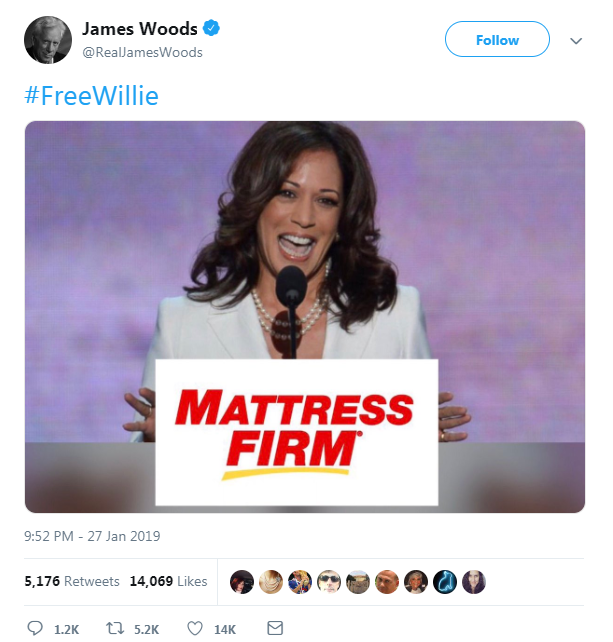 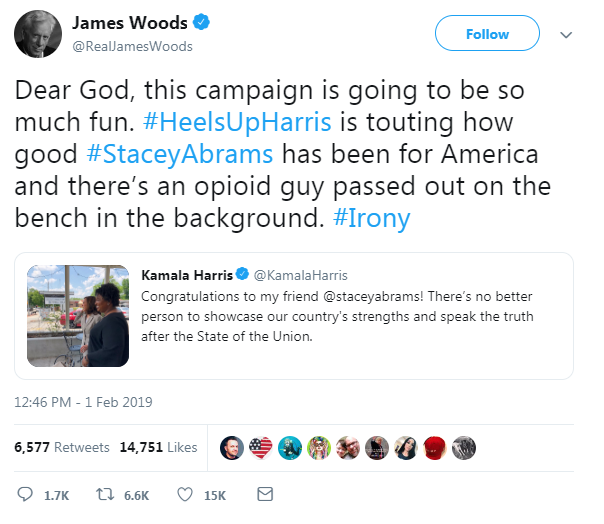 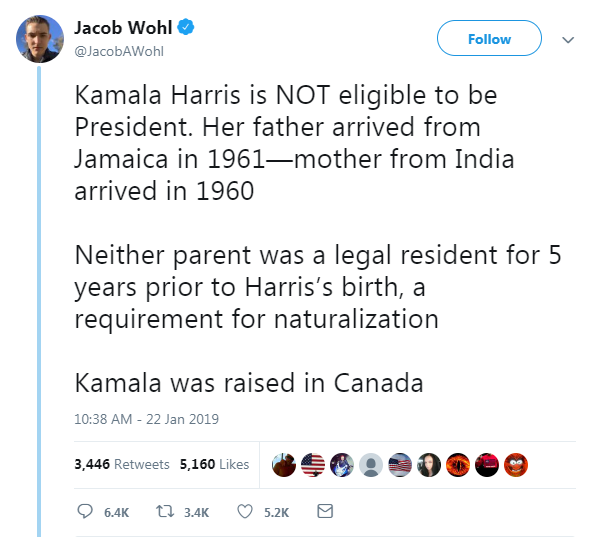 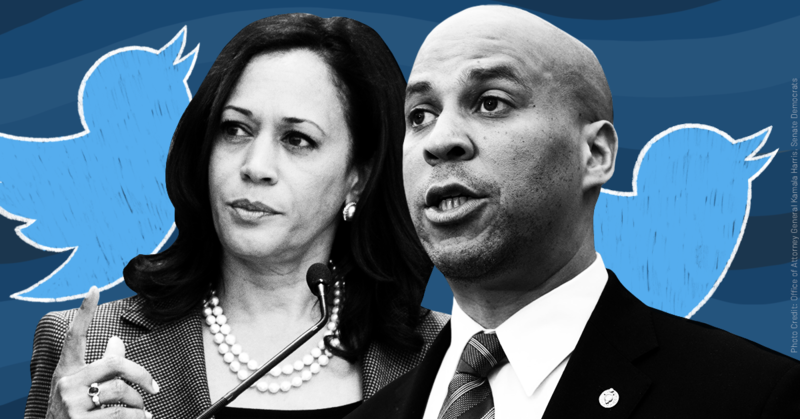 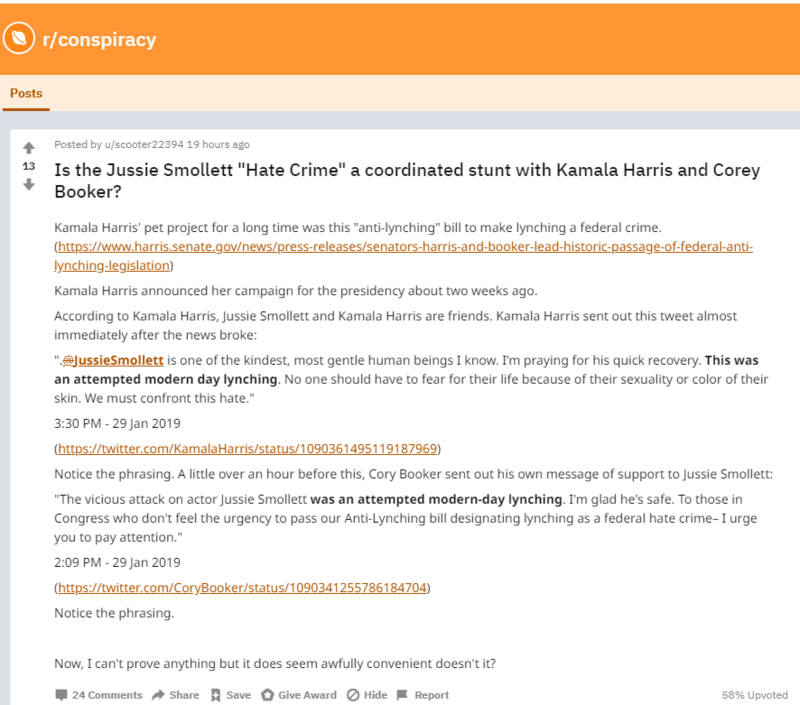 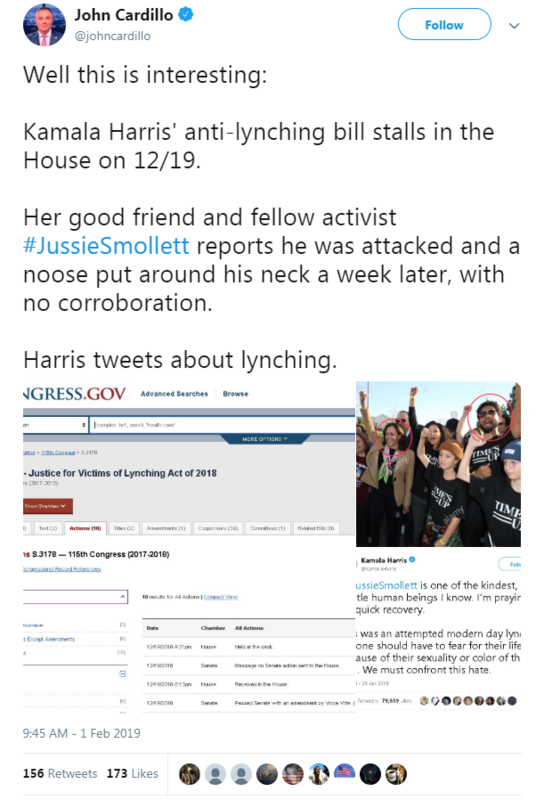 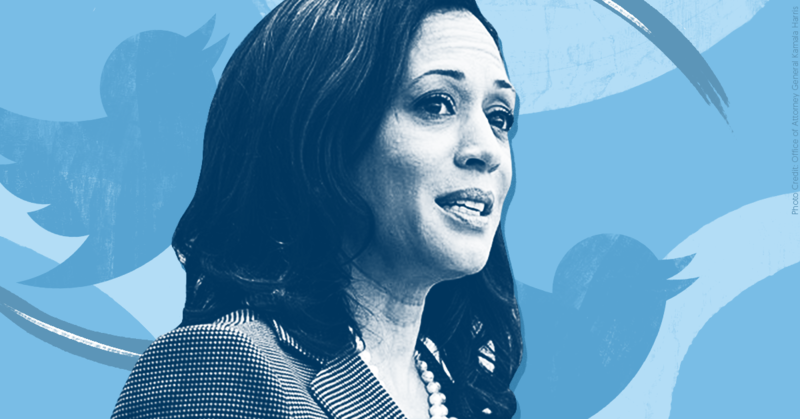 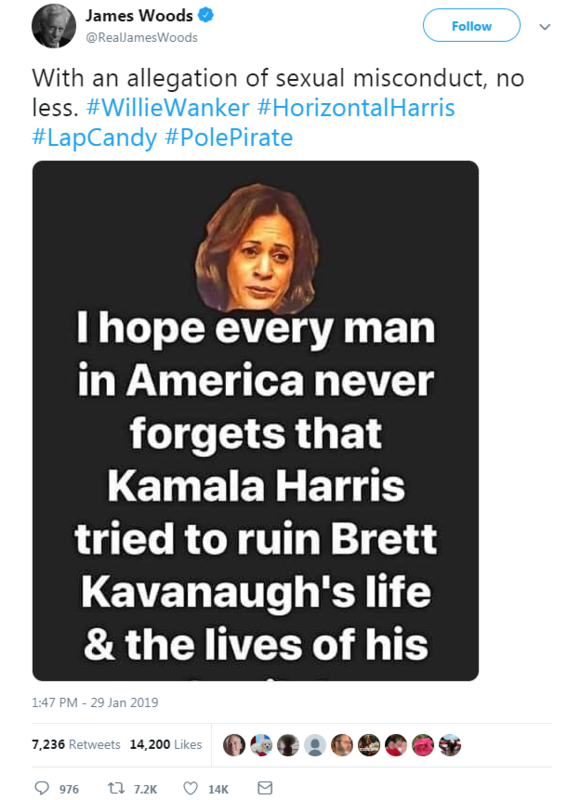 As far-right message board users were creating memes and misogynistic nicknames attacking Harris, Woods tweeted multiple hashtags such as #HorizontalHarris, #HeelsUpHarris, #WillieWanker, and #FreeWillie to push the smear to his Twitter audience. 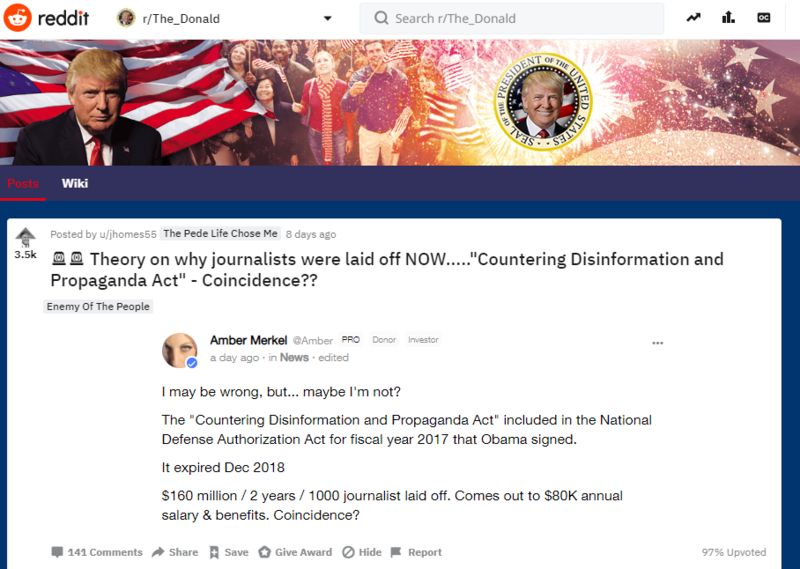 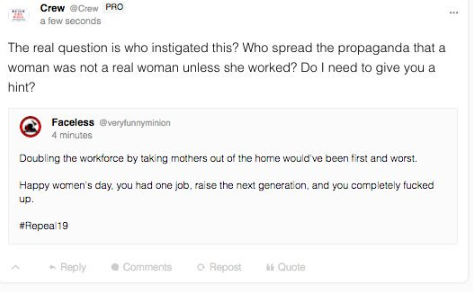 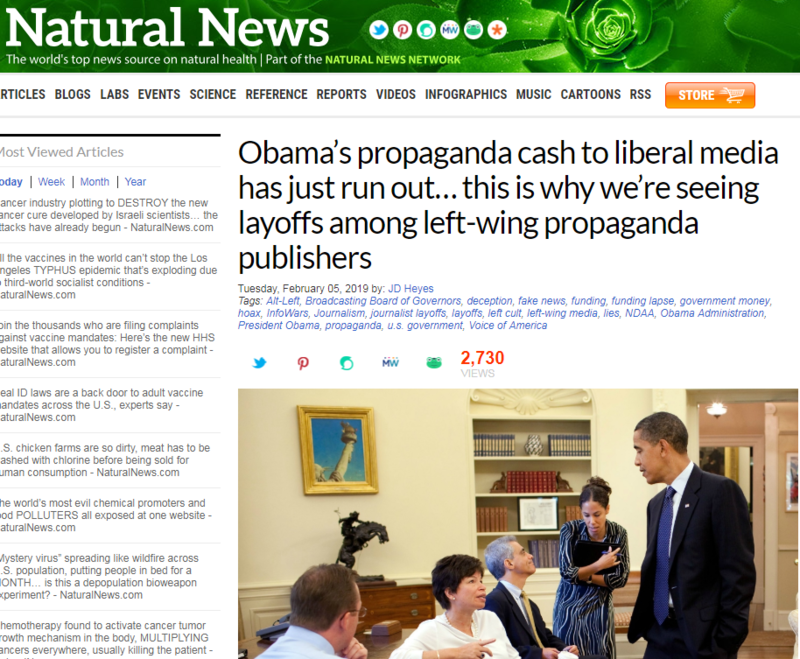 In January, a Gab account falsely claimed that former President Barack Obama was behind recent mass layoffs from media outlets due to a 2016 law he signed. 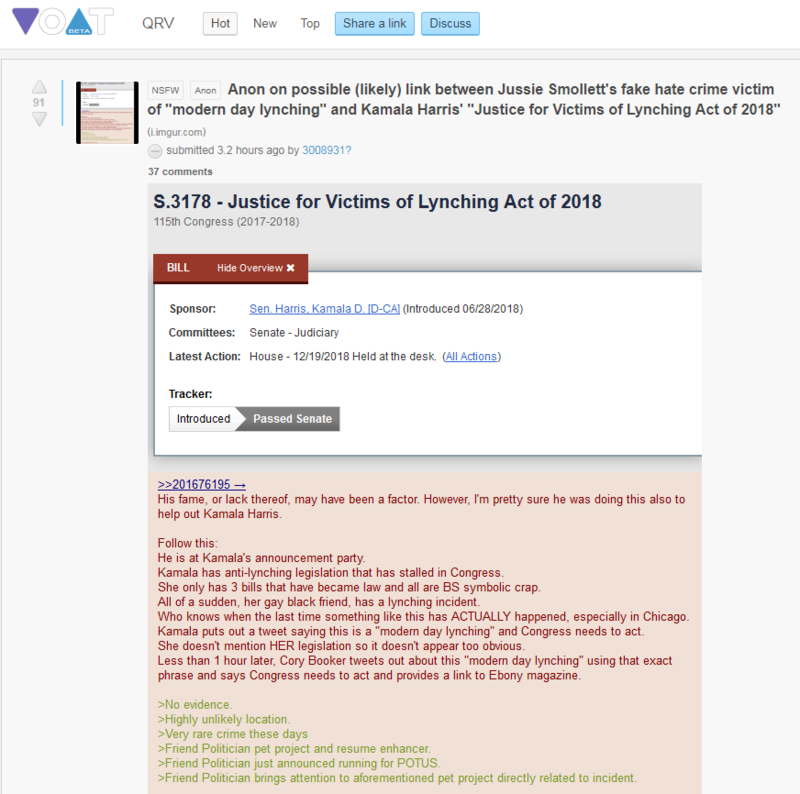 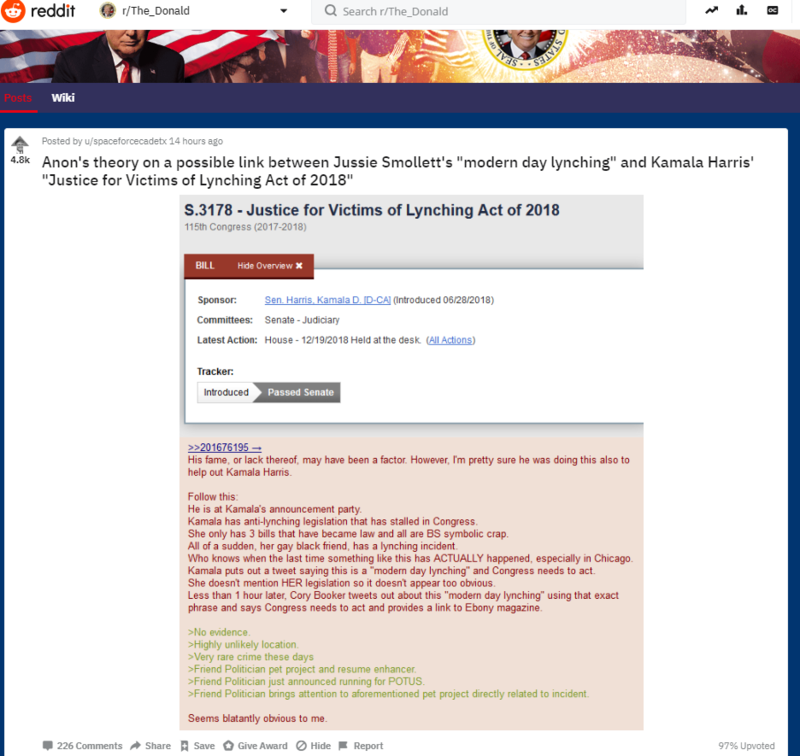 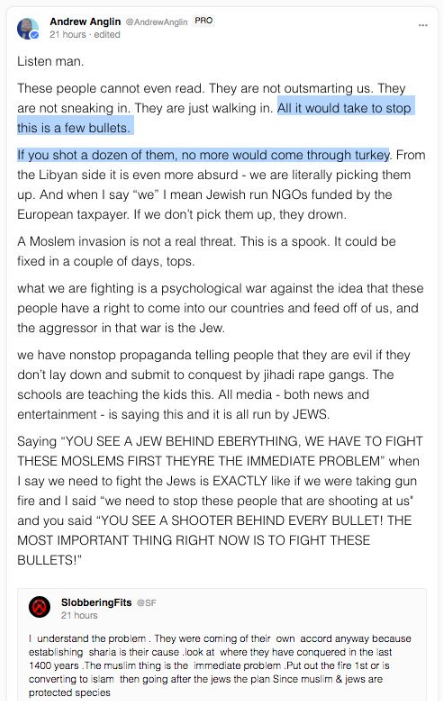 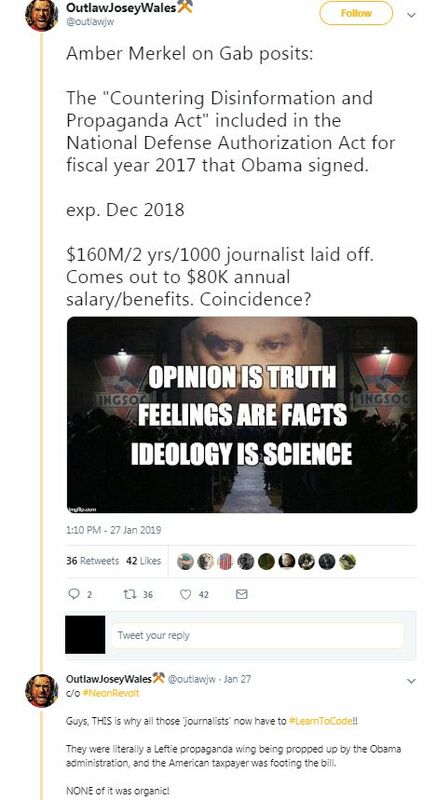 The Gab post was picked up by message boards and far-right social media accounts, and Woods tweeted an article pushing the conspiracy theory days later. 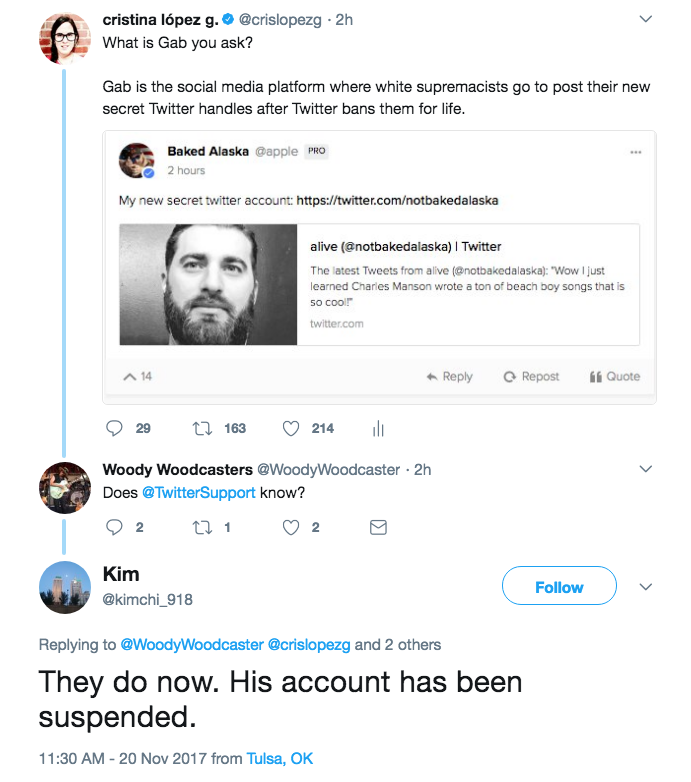 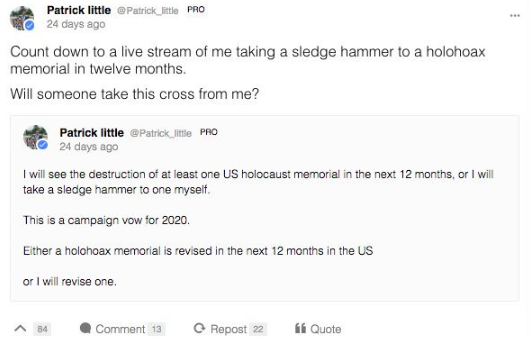 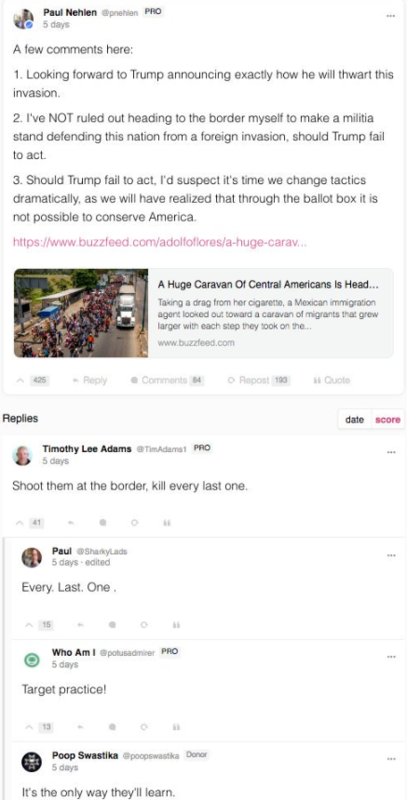 A Gab user cheered Woods’ tweet, noting it went “to his nearly 2 MILLION followers" and suggesting he was the tipping point in getting the claim to spread broadly. 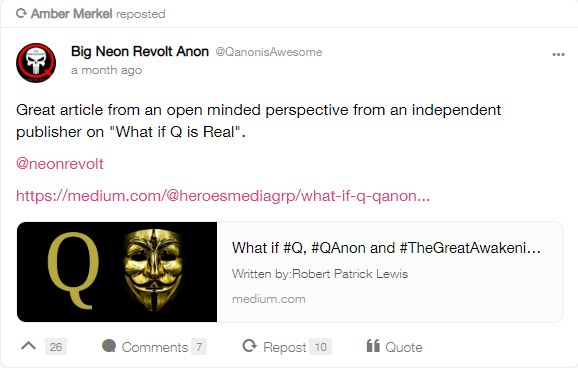 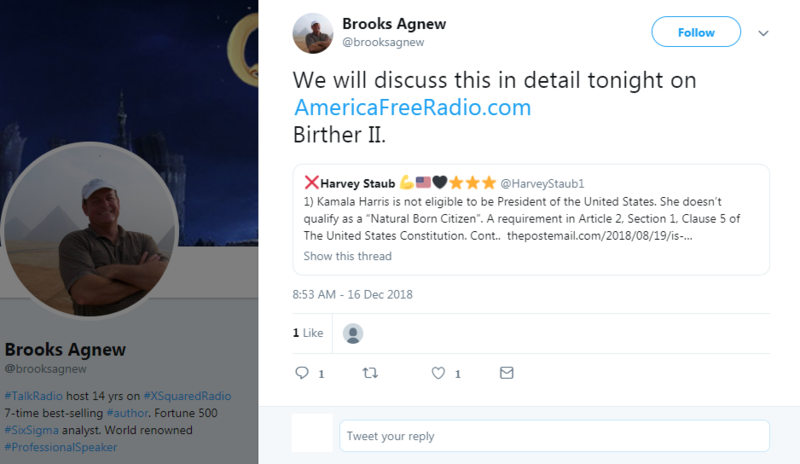 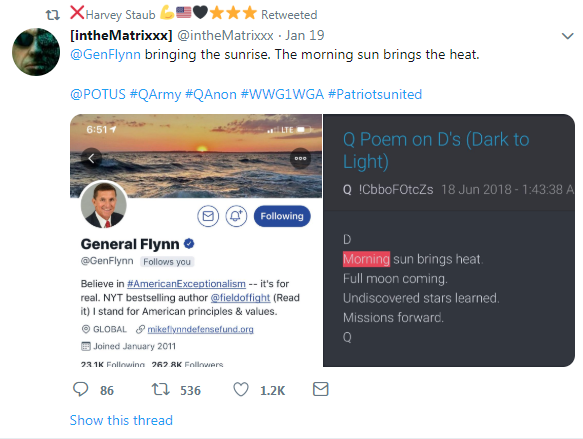 He has repeatedly tweeted screenshots of 8chan posts from “Q,” the central figure of QAnon, and once tweeted and deleted a post simply saying “Q” that QAnon supporters interpreted as an endorsement. 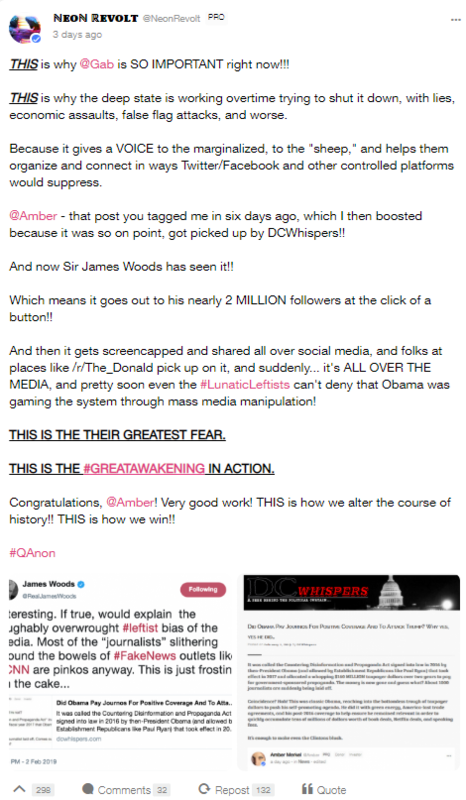 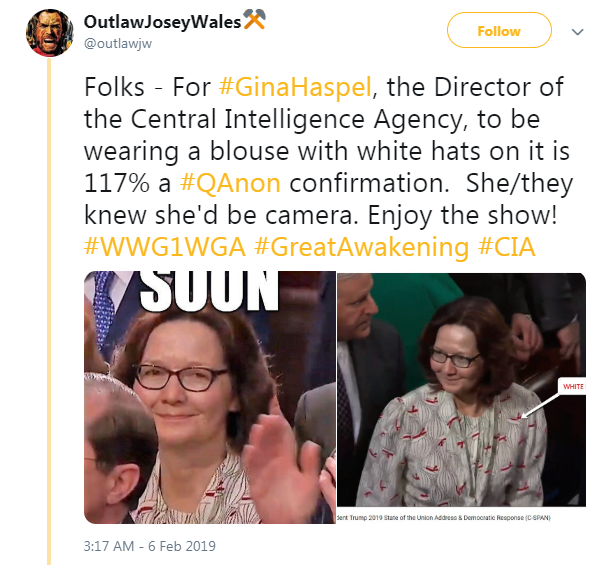 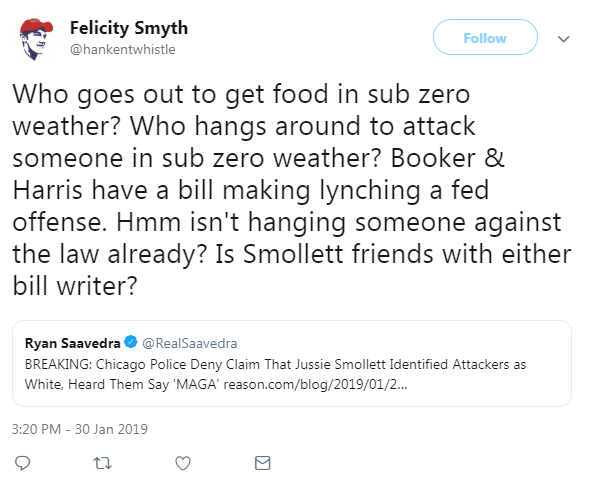 He also pushed a hoax about Rep. Adam Schiff (D-CA) that was popularized by a QAnon account. 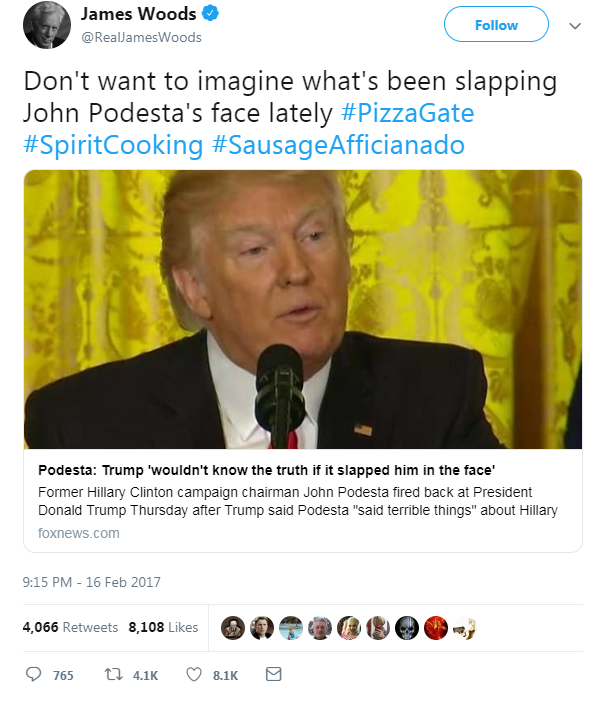 He pushed the debunked Pizzagate conspiracy theory. 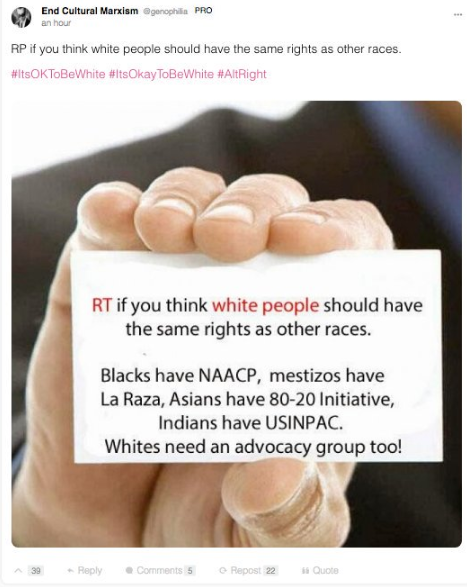 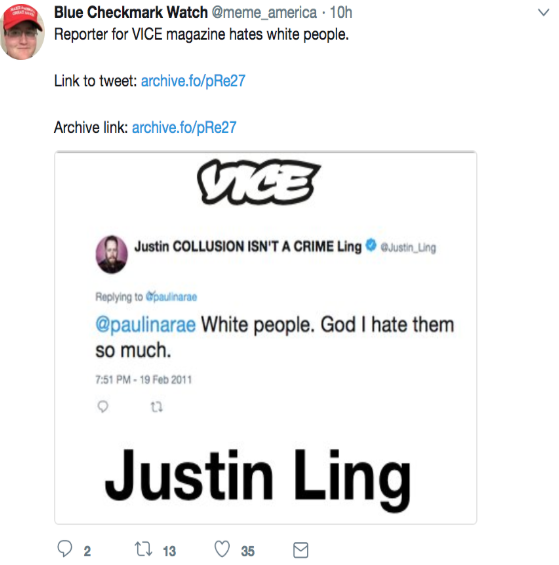 He has also pushed multiple 4chan campaigns linked to white supremacy, such as “Operation Stand Your Ground,” “learn to code” harassment, and “it’s OK to be white” messaging. 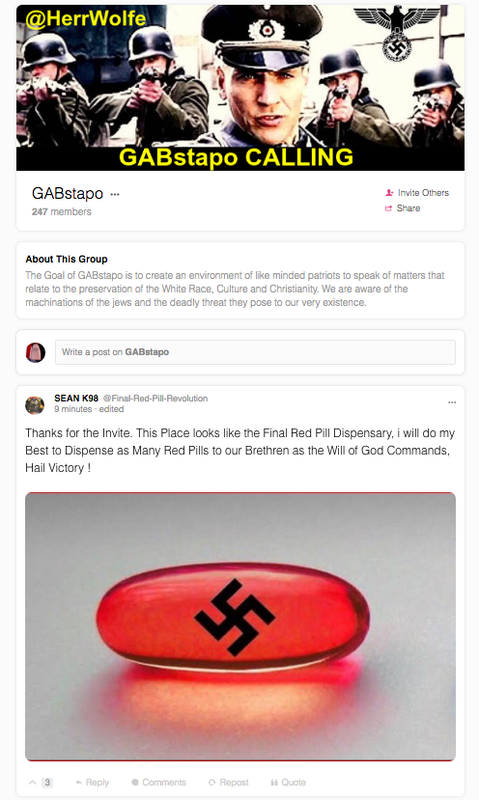 On harassment-enabling sites 8chan and Gab, pro-gun trolls publish Judge William Young's information to "show him what we got"
Blog ››› April 10, 2018 6:24 PM EDT ››› CRISTINA LóPEZ G.
Far-right trolls are using harassment-enabling platforms like 8chan and Gab to encourage threats against a federal judge for recently upholding a Massachusetts ban on assault weapons. 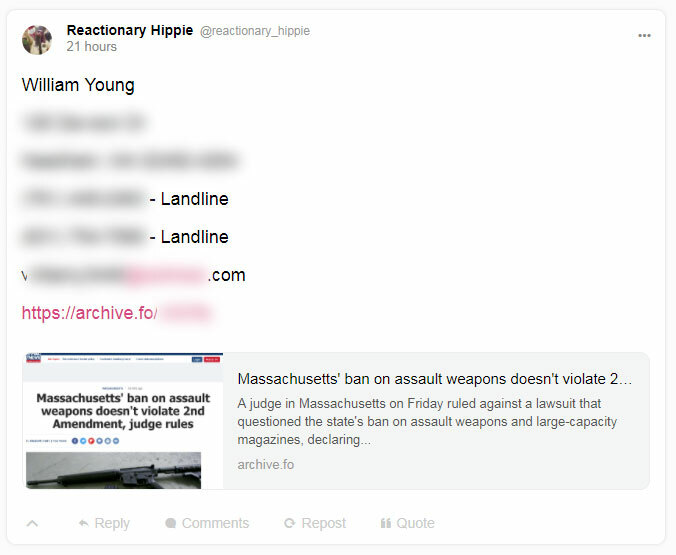 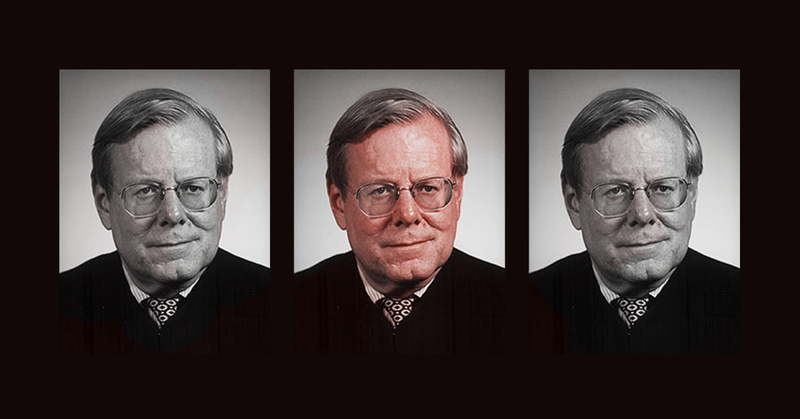 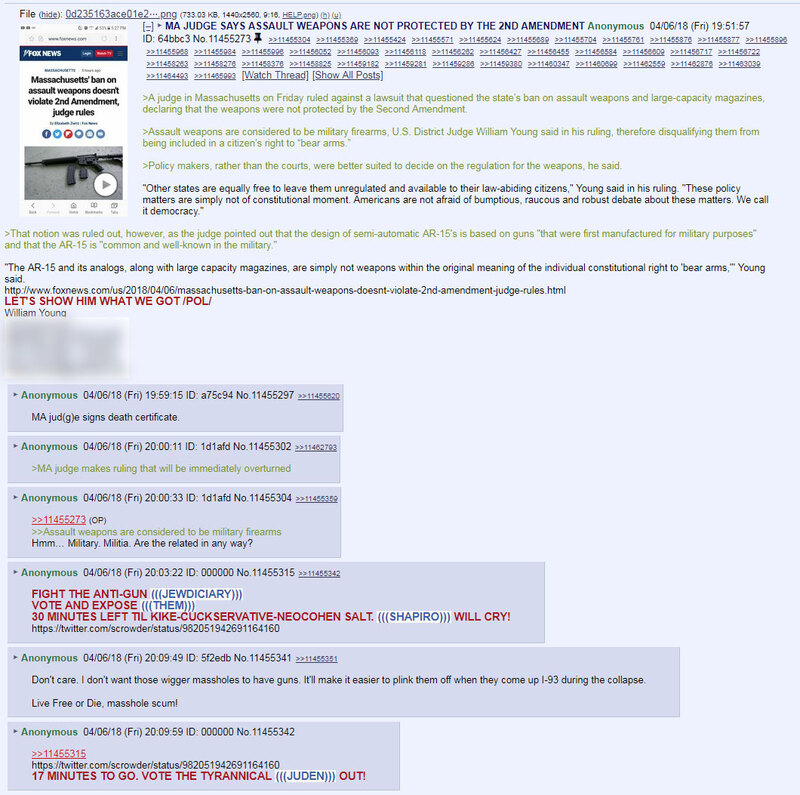 The trolls published what appears to be Young’s home address and phone numbers and claimed that Young had signed his “death certificate” by ruling to uphold existing gun laws. 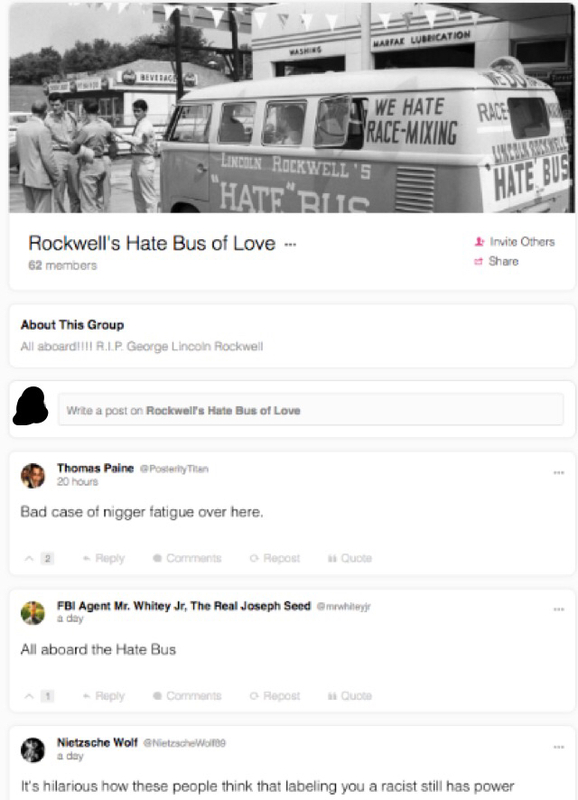 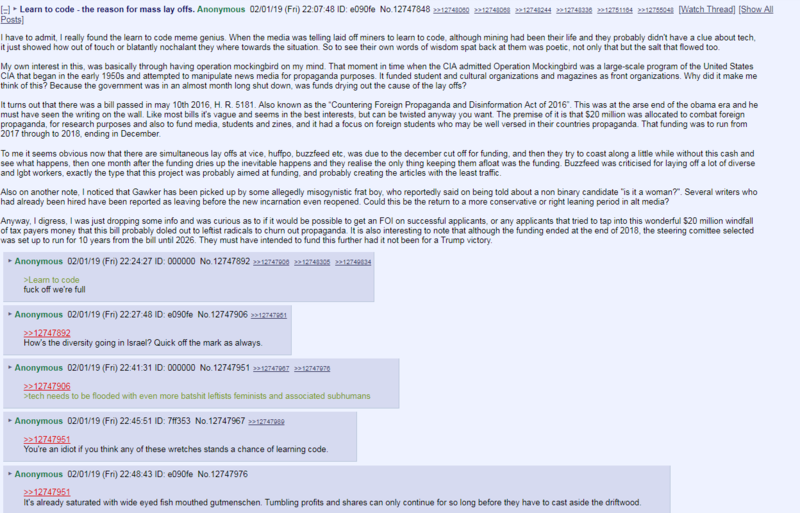 Anonymity and lack of oversight on online message boards 4chan and 8chan have long made these sites enablers of illegal activity and ideal places for trolls to coordinate harassment campaigns. 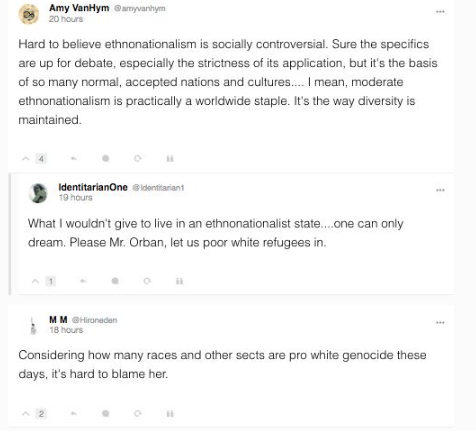 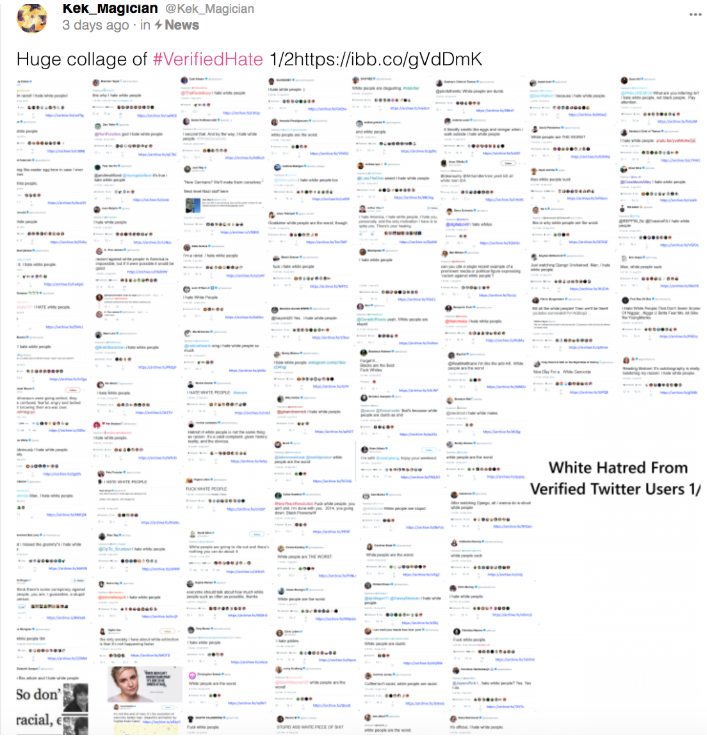 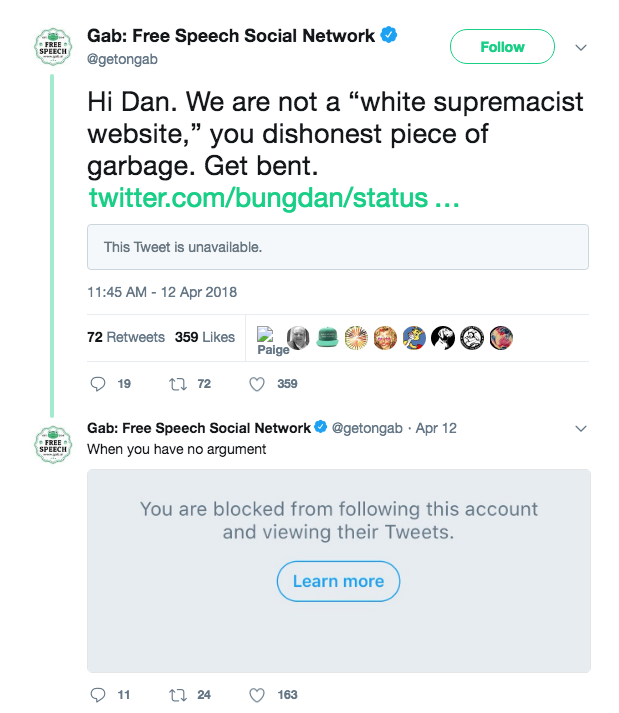 Gab, a Twitter alternative that has become a “haven for white supremacists” and allows users to regularly post extremist content with no consequence, has clearly become another enabler of harassment. 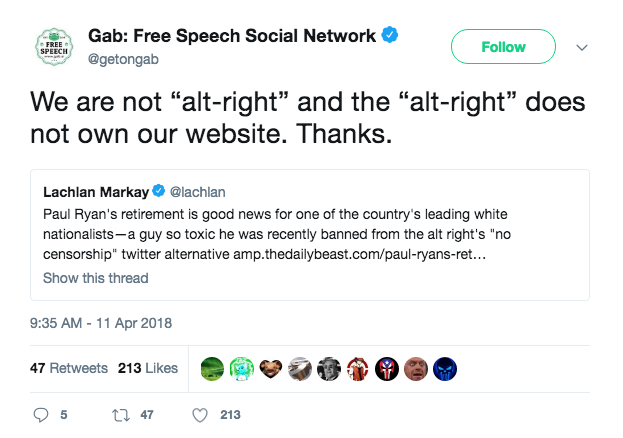 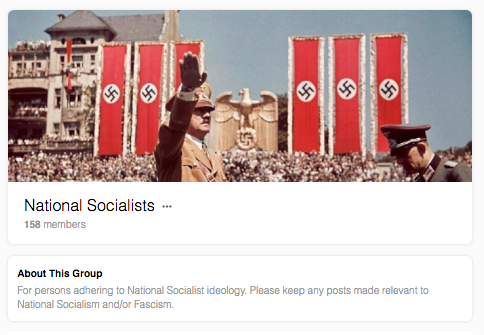 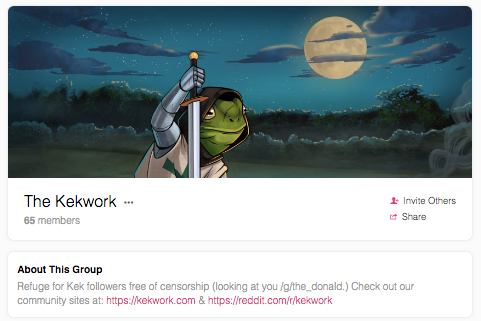 Despite Gab CEO Andrew Torba recently announcing that the site had banned “alt-right” congressional candidate Paul Nehlen for doxxing a white nationalist online troll by supposedly revealing his true identity, Gab's community guidelines appear to extend the courtesy of protecting private information only to other Gab users. 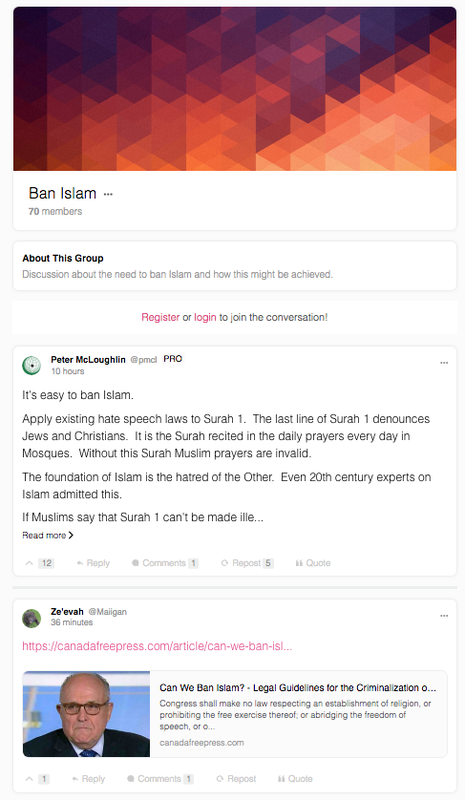 This policy makes the site, similar to 8chan, an ideal hub for white supremacists, anti-Muslim extremists, and now, pro-gun trolls, to coordinate the harassment of their political opponents. 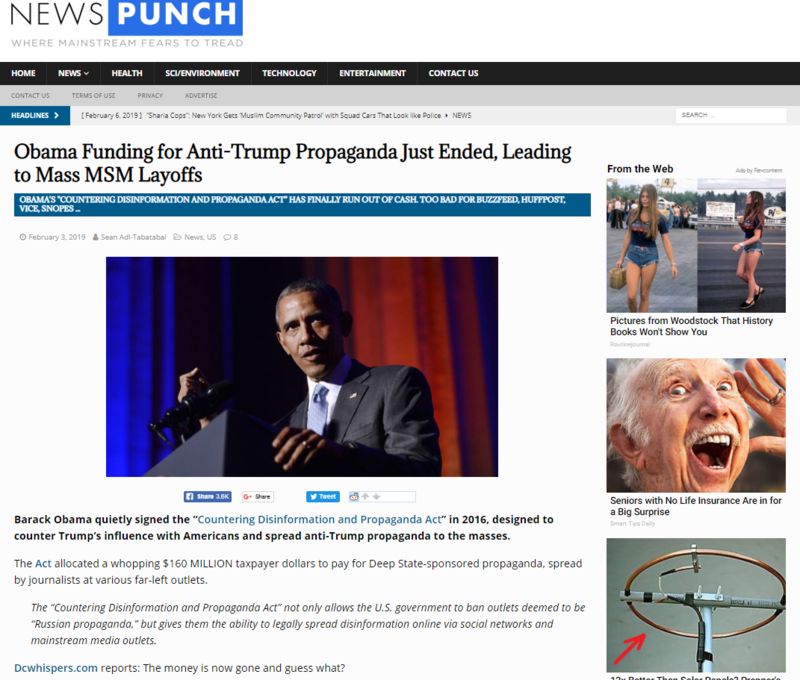 Dina Radtke contributed research for this piece. 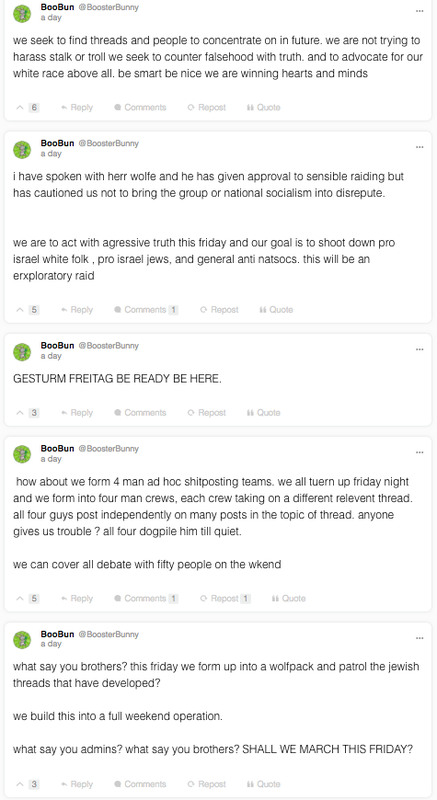 Blog ››› December 6, 2017 6:25 PM EST ››› CRISTINA LóPEZ G.
In October, a notorious right-wing troll quietly launched an "operation" aimed at suspending progressive voices from Twitter. 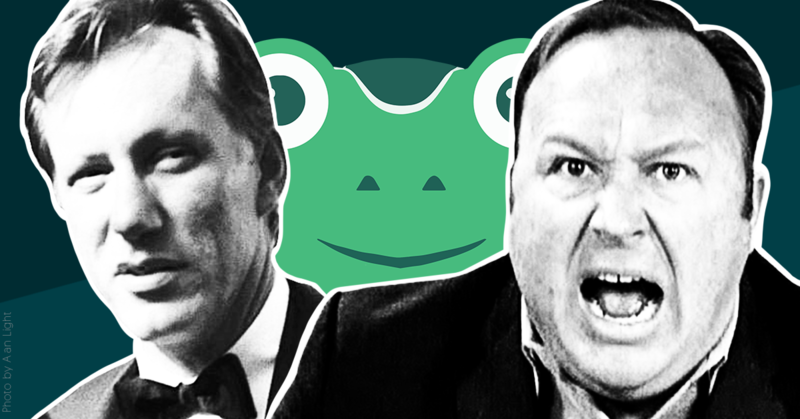 The plan was to use the platform’s mechanisms for reporting abuse in order to silence those he perceived as attempting to censor right-wing voices. 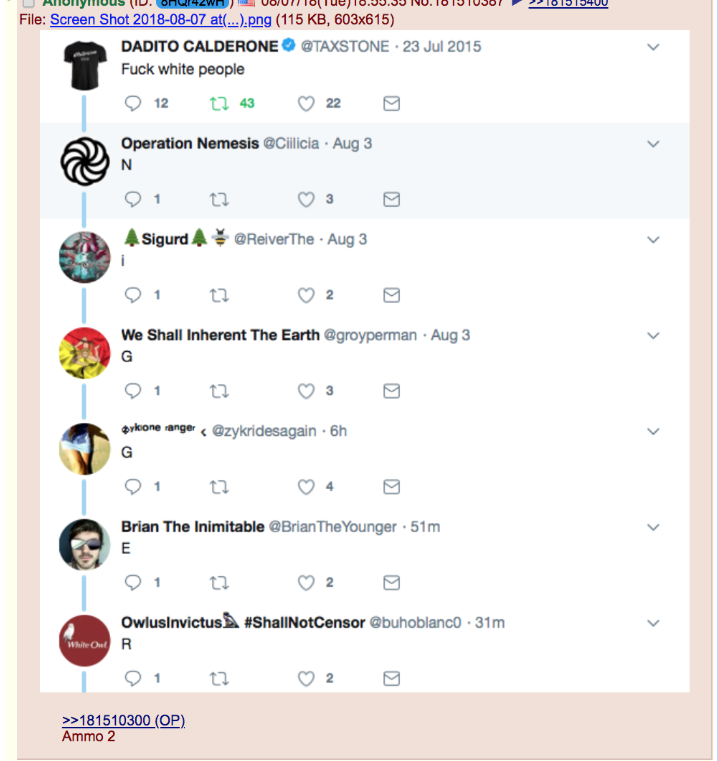 With Twitter’s cooperation, and by taking out-of-context tweets that could have been made in sarcasm, the project has now become another successful entry in the playbook online trolls are using to silence progressives. 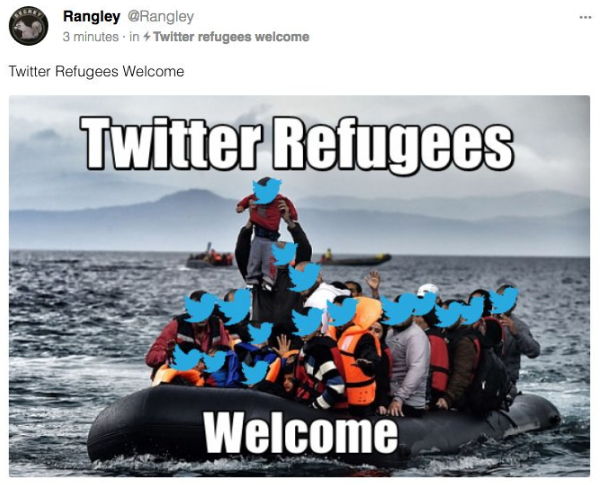 The strategy seems to have intensified after Twitter announced major policy changes in late November and moved to suspend or remove verified badges from the profiles of users who had posted white supremacist rhetoric and other hateful speech. 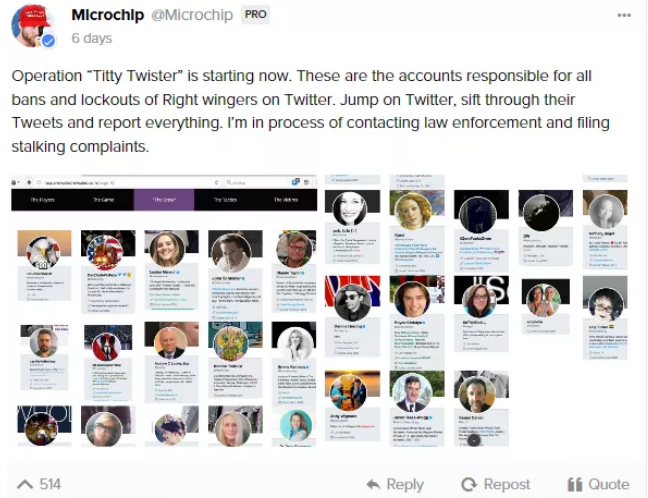 Though it is unclear how many accounts have been banned or suspended as a result of this far-right troll operation, Twitter did lock the account of Buzzfeed writer Katie Notopoulos for 10 days over a six-year-old sarcastic tweet. 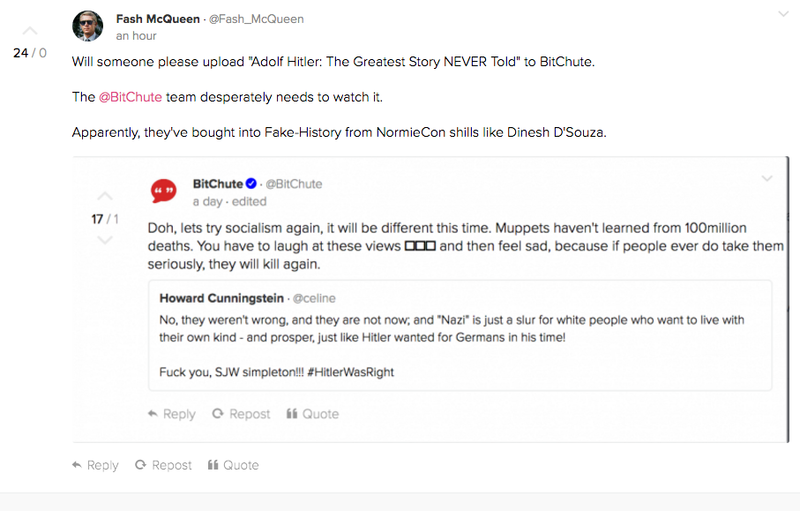 Other far-right trolls, like Mike Cernovich and Infowars’ Paul Joseph Watson, are now targeting comedian Michael Ian Black for tasteless jokes he made years ago. 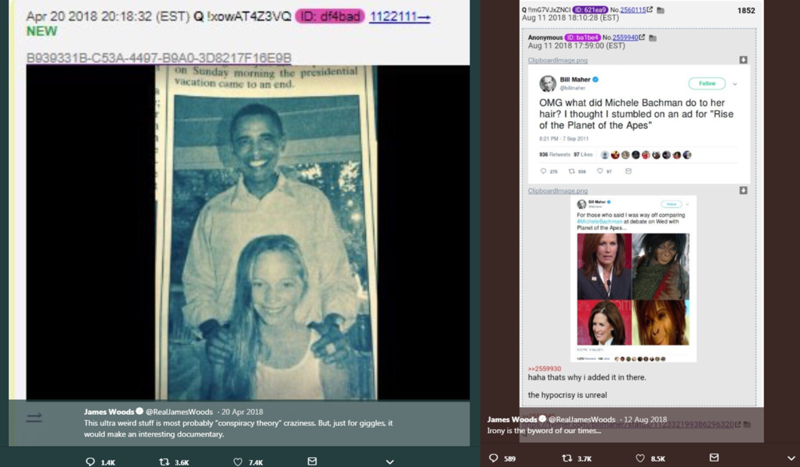 Twitter is getting played. 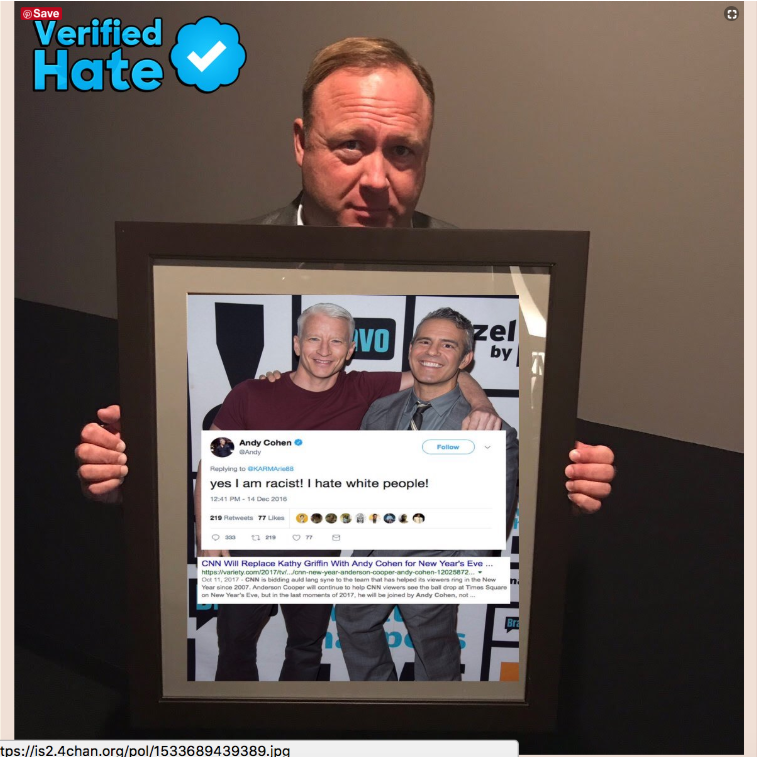 They’re trying to crack down on the worst of Twitter by applying the rules to everyone, seemingly without much context. 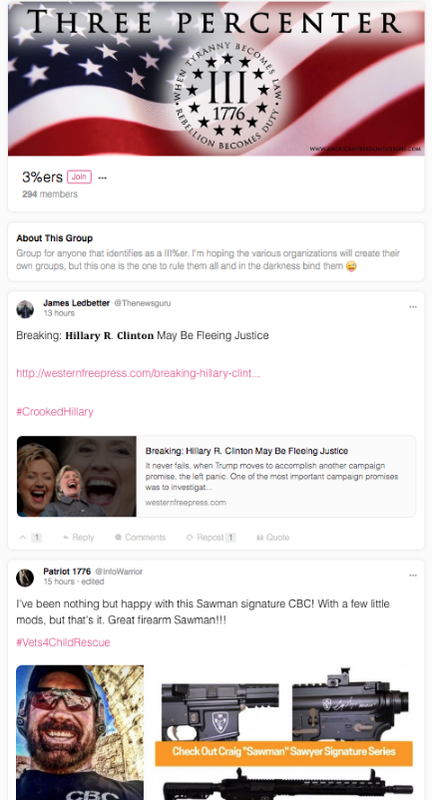 But by doing that, they’re allowing those in bad faith to use Twitter’s reporting system and tools against those operating in good faith. 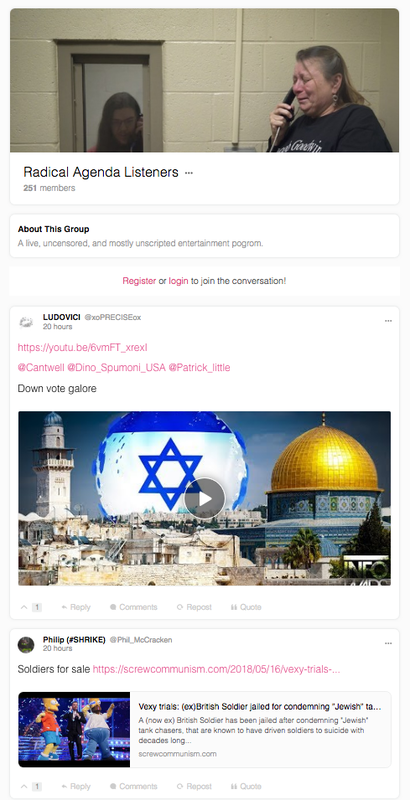 Twitter’s current system relies on a level playing field. 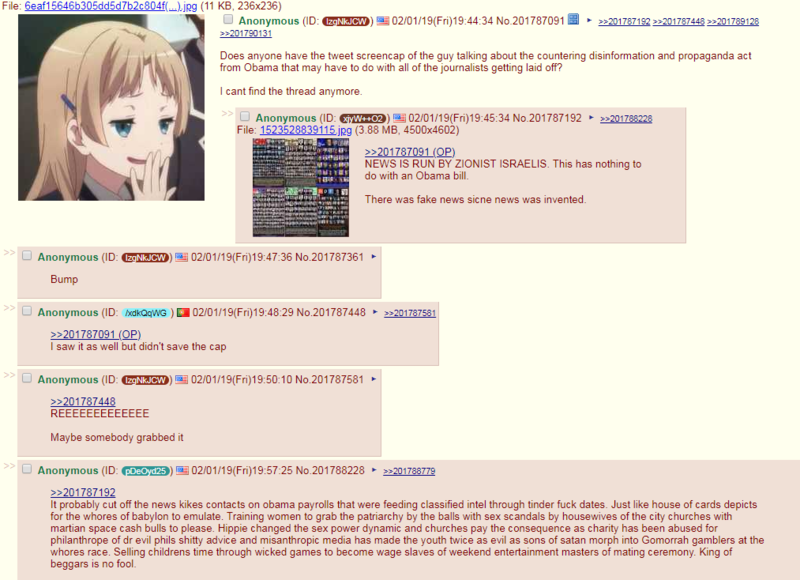 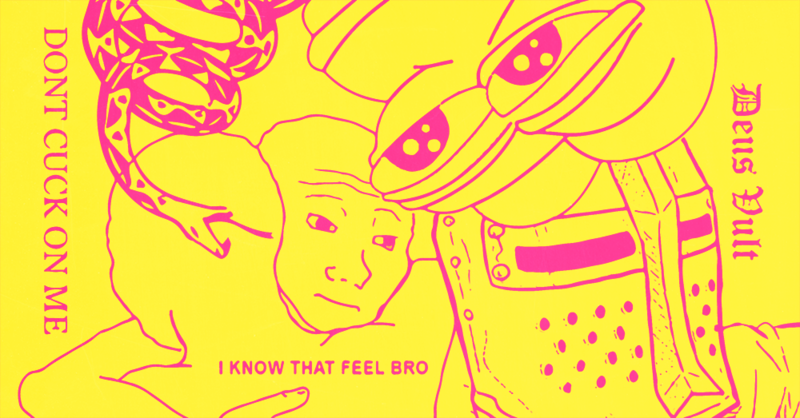 But as anyone who understands the internet knows all too well, the trolls are always one step ahead. 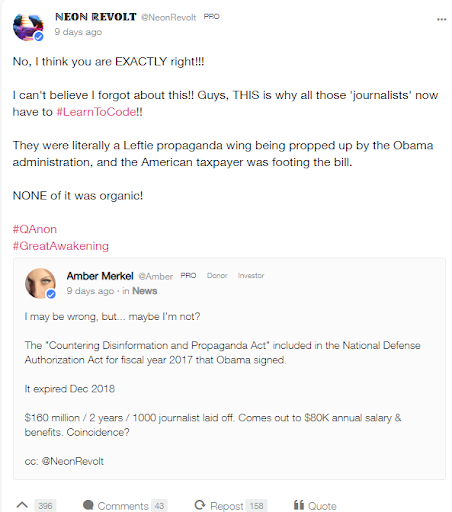 Blog ››› November 20, 2017 2:37 PM EST ››› CRISTINA LóPEZ G.
Twitter still has a long way to go when it comes to dealing with the hate speech, harassment, and other abuse rampant on the platform, including by better clarifying its terms of service and policies to define these violations. 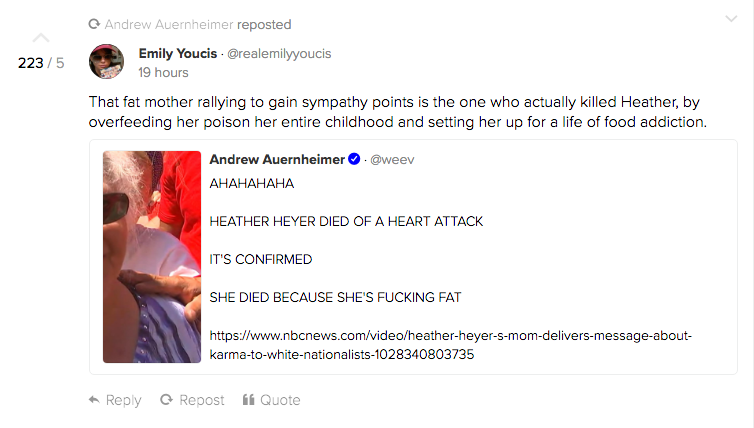 But kicking out the most blatantly toxic elements is a pretty good start. 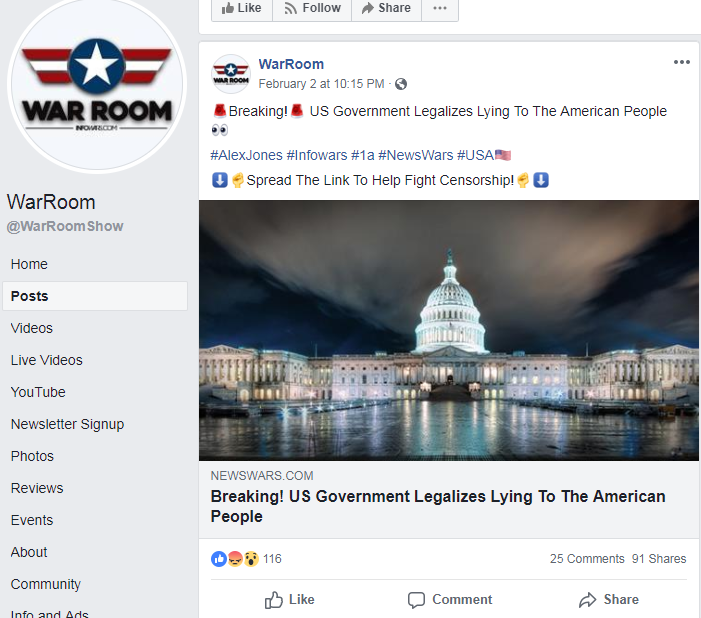 Blog ››› September 7, 2017 9:28 PM EDT ››› CRISTINA LóPEZ G.
While Carlson and Torba hide behind the free speech defense, they’re in fact not only empowering extremists, but also providing them with the unfettered tools to organize into action. 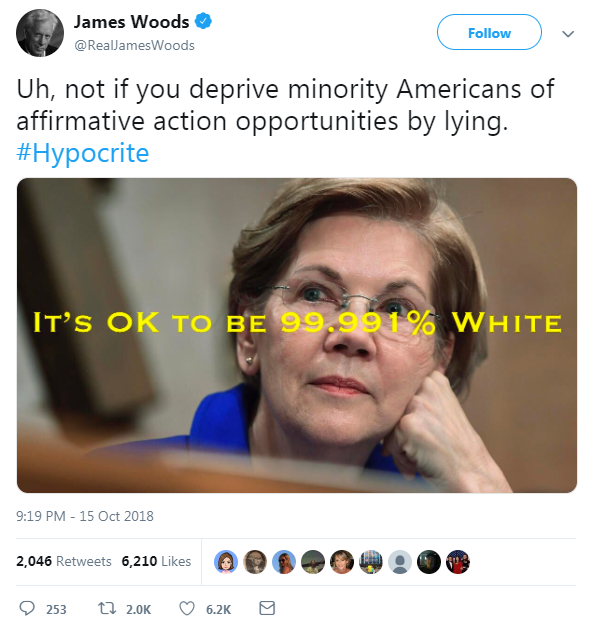 That’s called enabling. 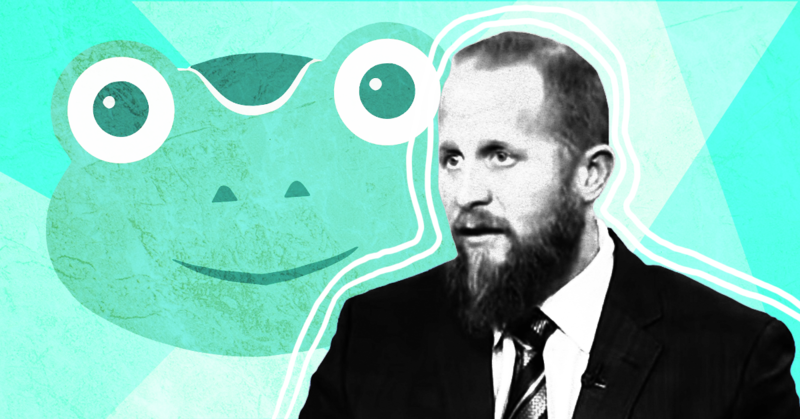 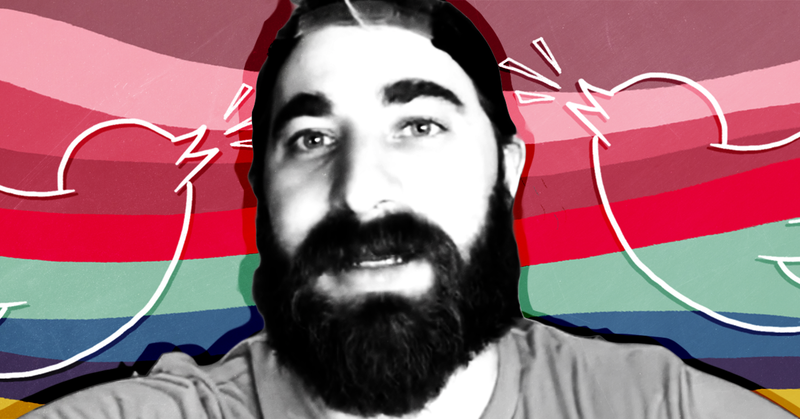 Fox host Tucker Carlson invited Andrew Torba, the founder of “Gab,” a social media app called a “haven for white nationalists” and a “magnet for the alt-right,” to attack Google and Apple for removing his app for promoting racist "hate speech." 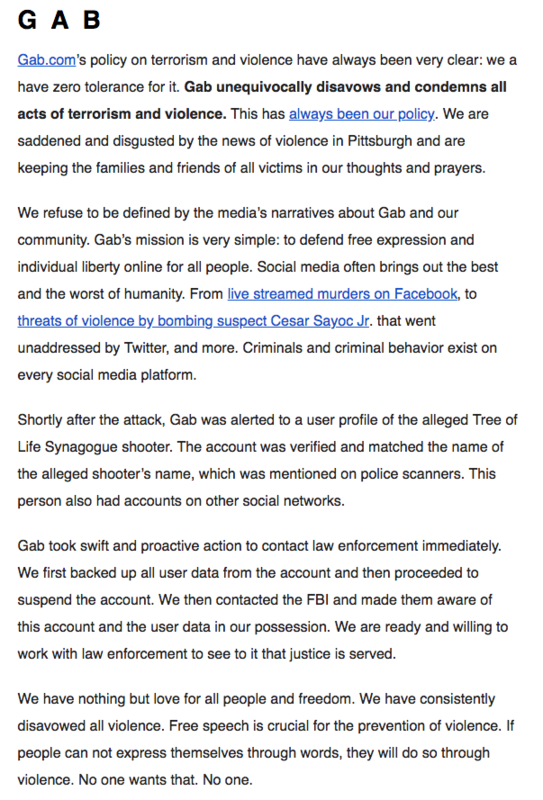 TUCKER CARLSON (HOST): Gab is a ad-free social media platform that operates in a way similar to Twitter. 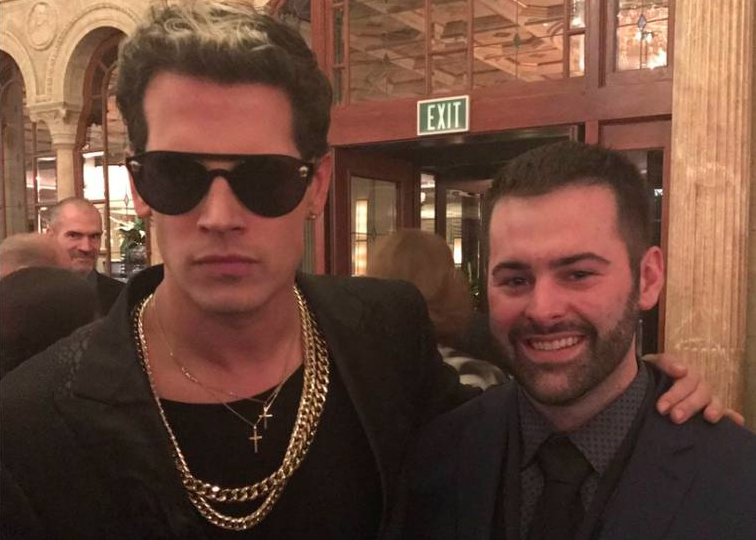 It presents itself as a pro-free speech platform so it’s been popular with Milo Yiannopoulos and other figures who have been censored on Twitter, Facebook, and other sites as well people who just believe in free speech. 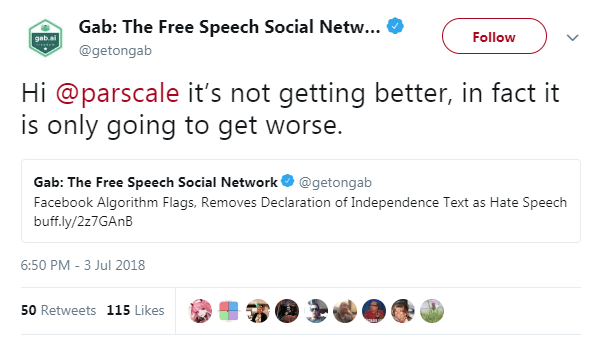 Tech giants can’t abide it though because it’s an uncensored platform so recently Google banned Gab from the Google store, claiming that company was “engaging in hate speech” simply by refusing to censor people who use it. 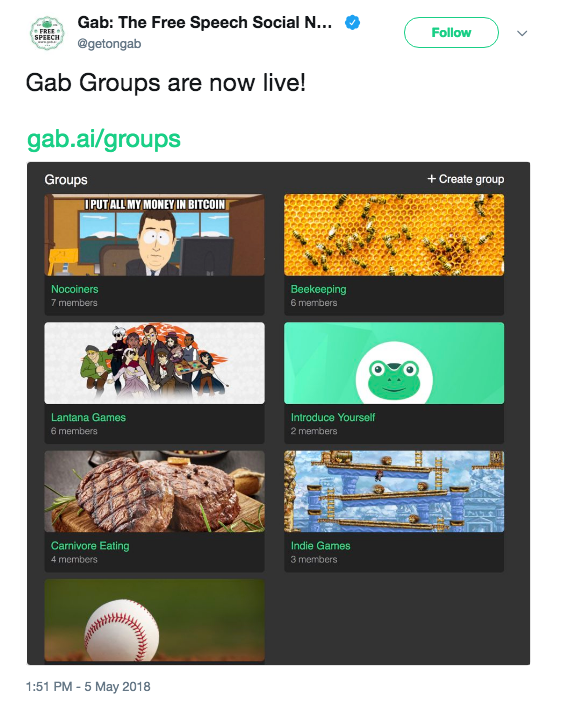 Andrew Torba is the founder and CEO of Gab and he joins us tonight. 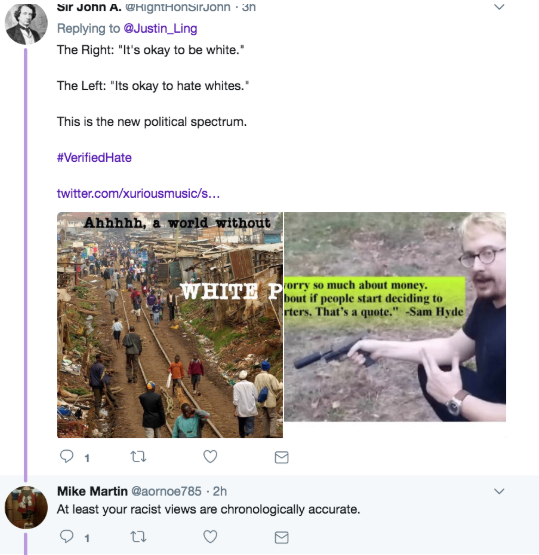 So Andrew, did I just mistake that? 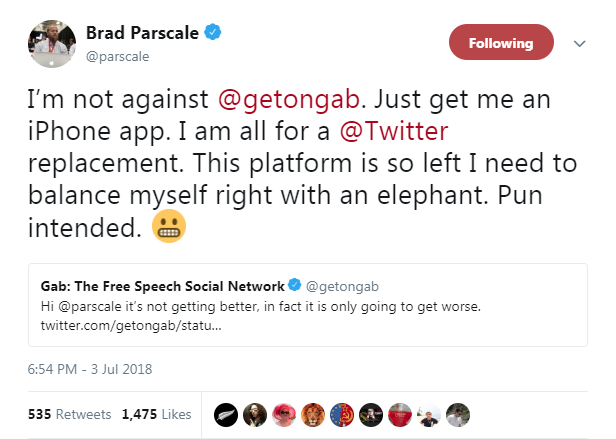 According to Google you have a responsibility to police the political views of people who use your app and because you don’t, they’re kicking you off. 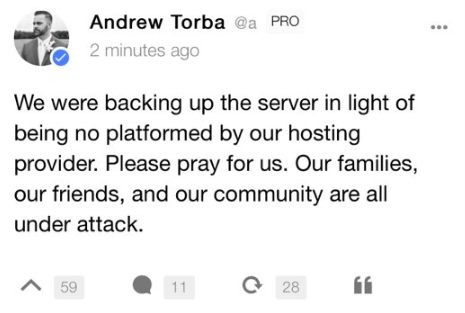 ANDREW TORBA: Correct, yeah Tucker. 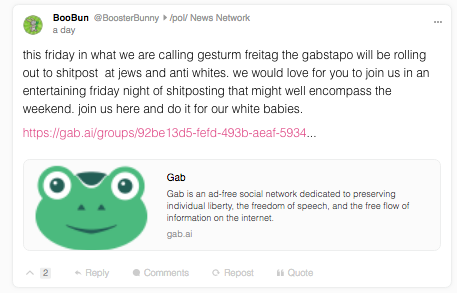 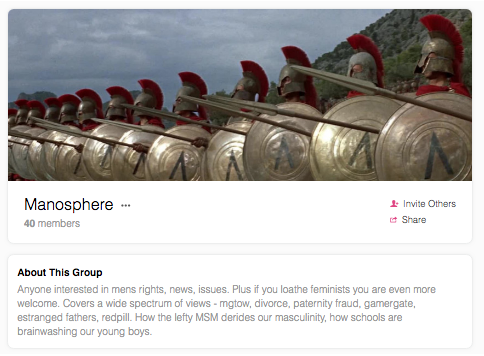 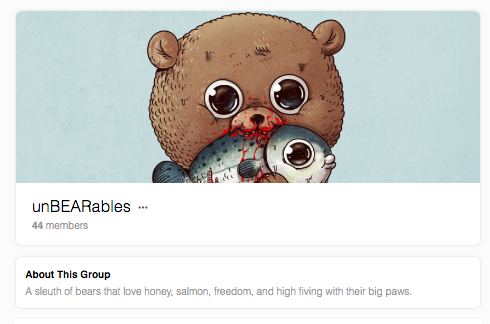 So when we founded Gab about a year ago, we founded it specifically to avoid this purpose. 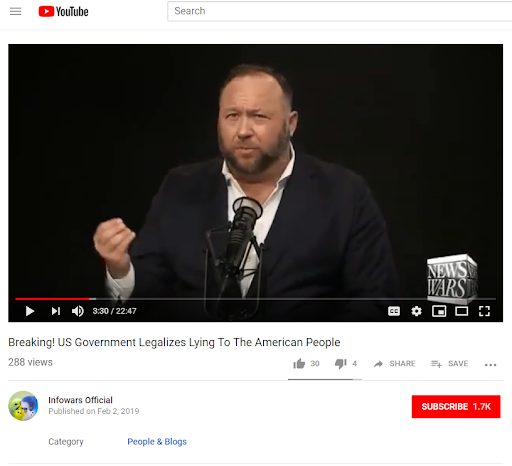 I didn’t want to police speech, I believed in free speech for everybody, individual liberty for everybody, and the free flow of information for everybody. 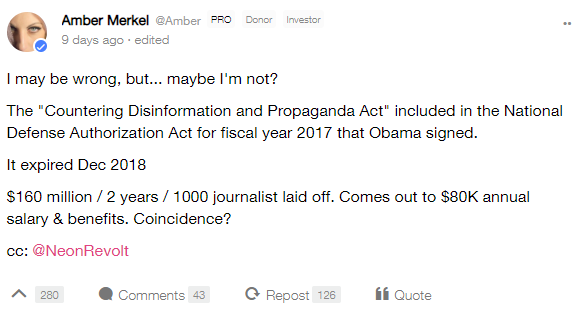 TORBA: Correct, yes. 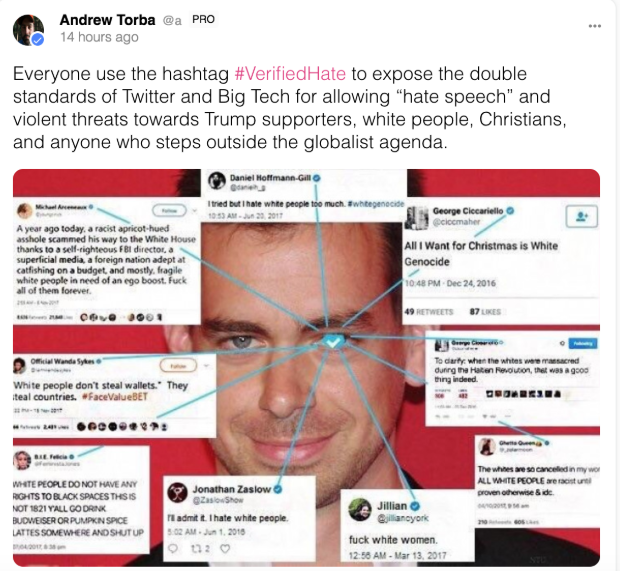 So what's happening in Silicon Valley right now is they are using these arbitrary hate speech policies which is stemming right out of Germany and out of the E.U., and they’re applying these to the entire internet. 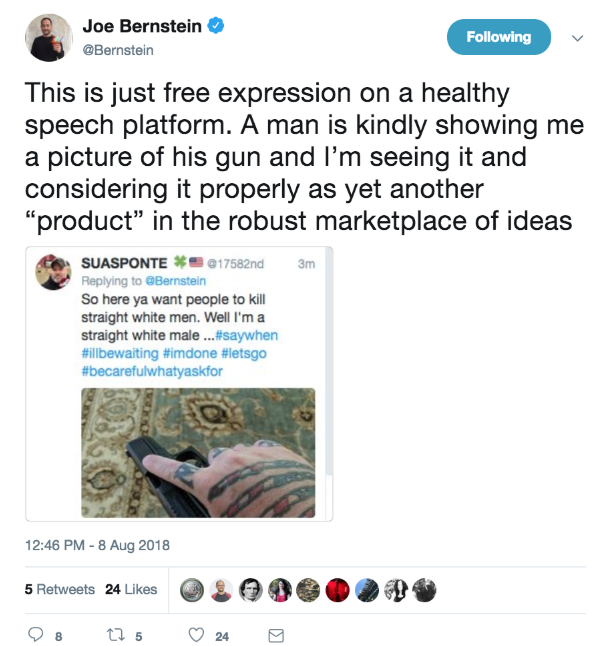 And the left likes to say if you like the hate speech policies of Facebook and Twitter why don't you go build your own? 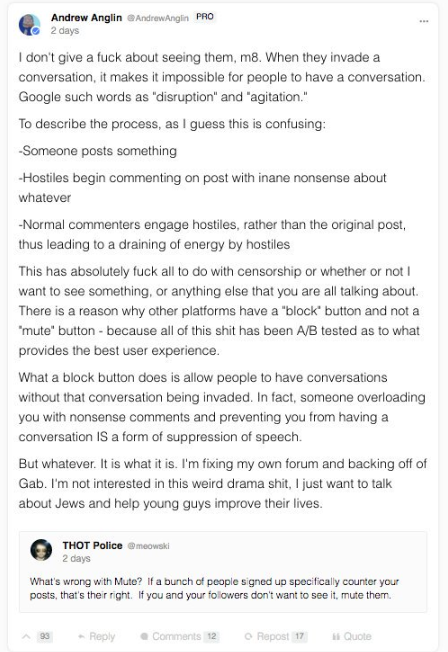 So that's what we did and now what they’re doing is they’re saying you’re not allowed to do that either. 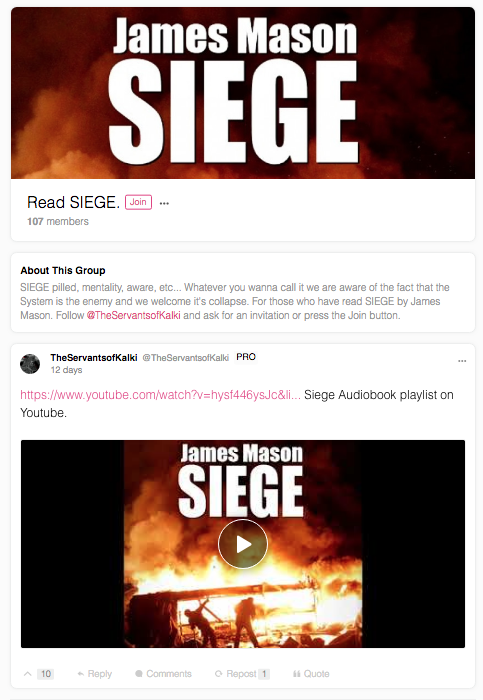 We’re not going to let you have your app in our app stores.